Get the HTML and data from the server while the page loads itself. Load the page first, then get the data via an AJAX call and update the page accordingly. In today’s post, we will be using second approach and see that how can we initiate the AJAX request via AngularJS. For our example, we’ll pick the sample that we created in last post. Please do read last post before continuing. In last sample, the data is passed with the view itself which will not be the case here. So let’s make few changes in EventController.cs. Now we have made changes at server side. We have a method GetTalkDetails that is ready to be called via AJAX. So let’s move to Index.cshtml. 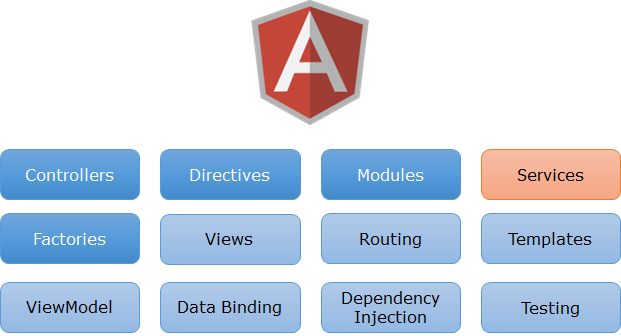 As here we created an Angular Service that just read the data from the server using AJAX. Now we don’t want it in View that so let’s delete it. So let’s create a new file named EventsService.js. 1 $http – As the name suggests, it enable to initiate the AJAX request to the server and get the response. This is a core angular service and uses XMLHTTPRequest. This API can be paired with $q service to handle the request asynchronously. It’s syntax is similar to jQuery ajax if you have used that. 2 $q – This service exposes deferred and promise APIs. Defer API is used to expose the Promise instance. Promise returns the result when the asynchronous request successfully completes. It has also APIs that tells us whether the request got successful or unsuccessful. We’ll use it in our example. Now it’s time to write the code in Angular service file. In the above code, we are using $http and $q services both. In getTalks, we have created a deferred object using $q . Then used $http services to initiate the asynchronous request to the server to get the data. Based on the request status success and error callbacks are called. In success callback, we provided deferred.resolve and in case of error, deferred.reject. deferred.resolve resolves the derived promise with its value. We also need to make changes in our controller.But why do we need to change the controller.? Great!! This is what we have expected. Note – $http is a very powerful service and provide lots of features. I have just discussed the basic concept and feature around this. The example application is attached with the post. 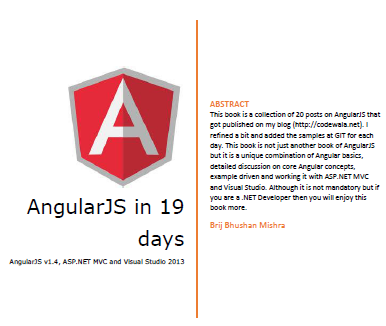 This entry was posted in AJAX, AngularJS, ASP.NET MVC and tagged $http, $q, AngularJS, ASP.NET MVC. Bookmark the permalink. Very interesting post in the series. Could go a step further and pass the Url into the ‘getData’ service function. Nice work!